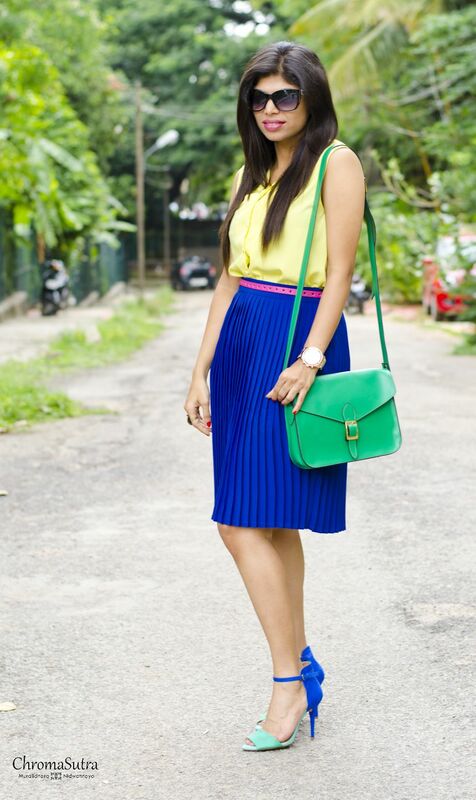 Stilettos Diary: Bold Neon and Royal Blue. Bold Neon and Royal Blue. Royal blue seems to be the color for this fall along with burgundy. 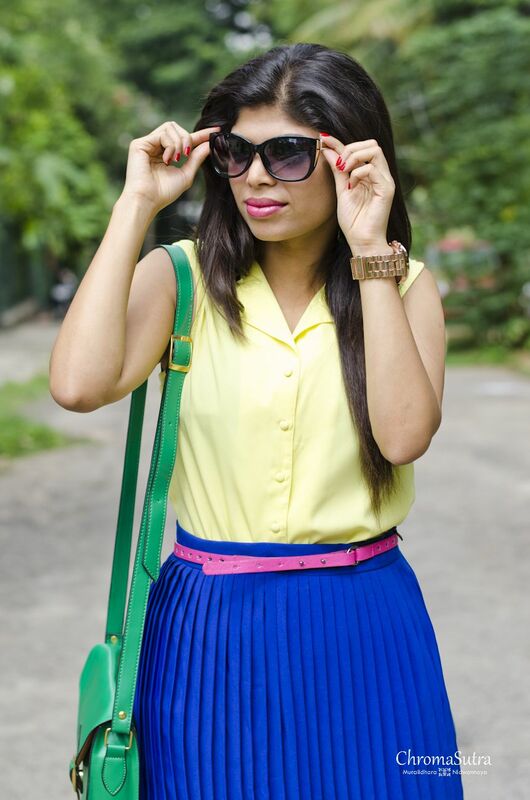 This week's post is about pleats, neon and color blocking. Rings - Stilettos Diary Shop. Accordion Pleats usually reminds me of school girl skirt, though in our school days the pleats were much wider. This season pleated skirt's image has been transformed from its ancient school girl image to a fun flirty every day, every age outfit. Socialites like Olivia, Kate Bosworth have rocked the pleated skirt in the red carpet. From metallic gold to royal blue American Apparel offers many rare color pleated skirt. For me American Apparel is a colored heaven. The rich color and textures fascinate me. Check out American Apparel and you will feel the same way I do "Megha in Wonderland"(An unoriginal, plagiarized adaptation of Alice in Wonderland). 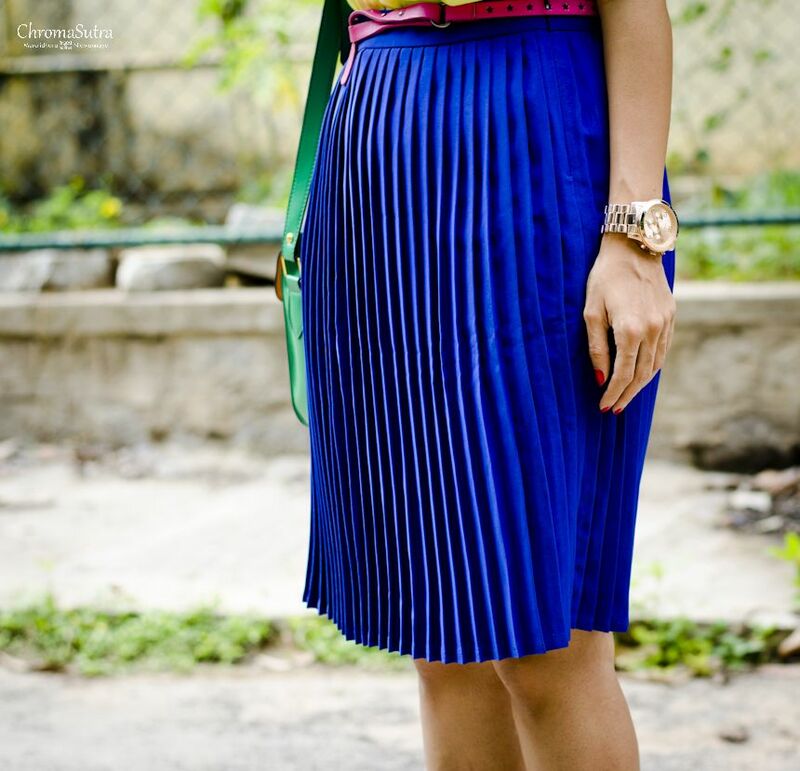 How to style Pleated Skirt? 1. Pleated skirt can be paired with almost every trend this season, whether it be worn with a print top, colour block, white-on-white or neutrals. 2. Style with a blazer to work. For a casual day a simple t-shirt and oxfords. 3. A sheer shirt, wedges and pleated skirt with statement gold accessories is a perfect outfit for the night. 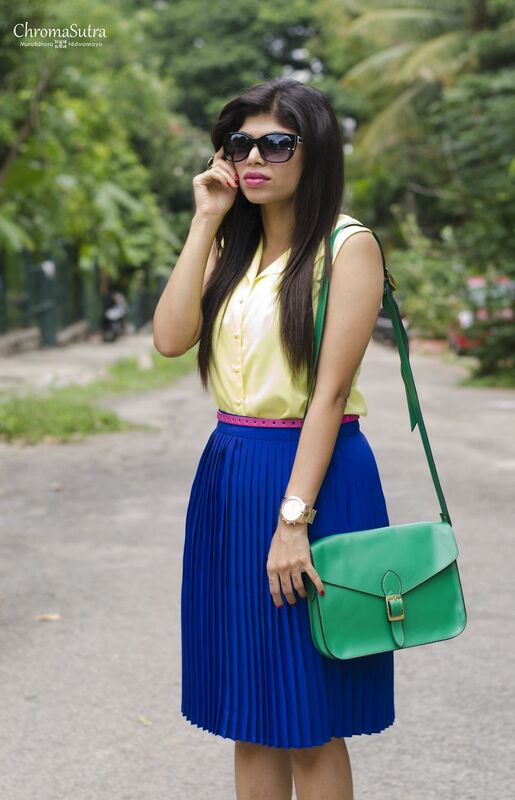 Hope these tips will help you rock pleated skirt. 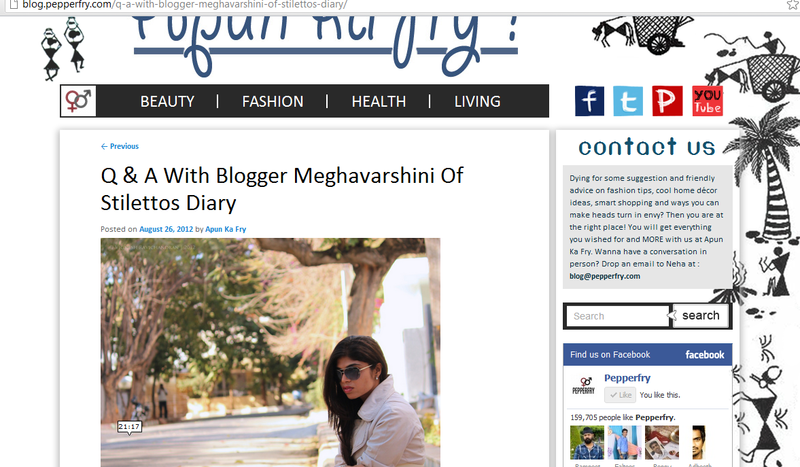 Past few weeks it's raining features for Stilettos Diary. 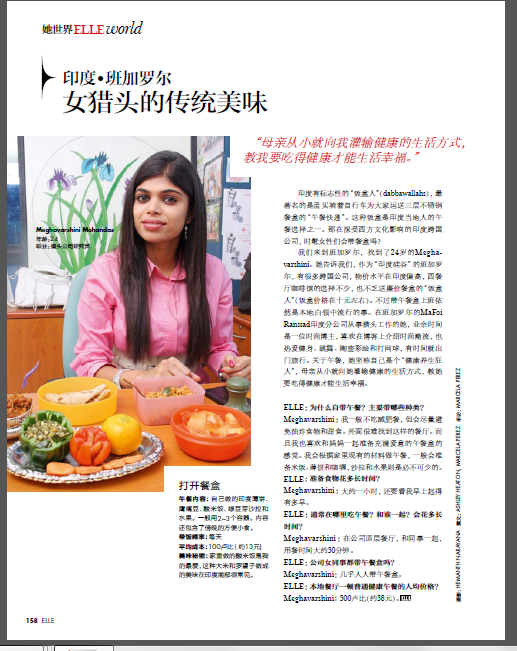 I was featured in ELLE Magazine CHINA. I was totally excited and thrilled about POSE.COM Feature. 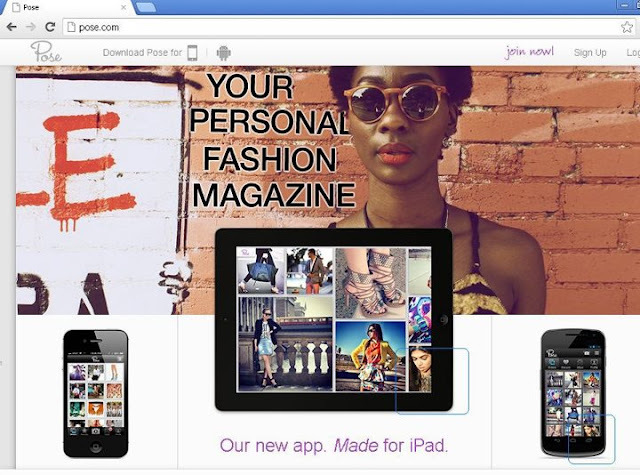 One of my photos is part of the photos used for Iphone, IPad campaign. Check out http://pose.com/ campaign is still live. I was also featured on Pepperfry.com blog "APUN KA FRY". Check out more amazing photography by Muralidhara Nidwannaya. Click on the image! You look Radiant in that colour.. And woah !! so many achievements. Congratulations!! Also congrats on all your features, they're well deserved. gorgeous colors!! very chic heels and bag!! amazing pleated skirt and shirt!! Love the mix of color and wishing I had gotten the Zara shoes in color along with the black ones I got! During sale only this color was available and it was the last piece. Worthy buy! love the colors..
Love the blue on you. Congrats on your features. Well deserved. Atm I'm in love with bright bags and satchels! thnks valens :) its from crunchy fashion. do check out the store. i love your mix of colors! the bright blue is so striking on you! very lovely! You are an inspiration ! 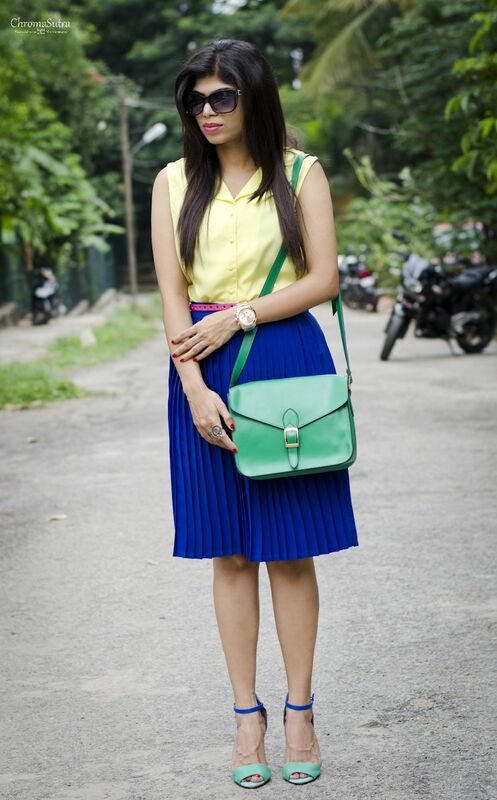 Nice post... loved the color blocking..
Love the combination.. u carried it so well!!! 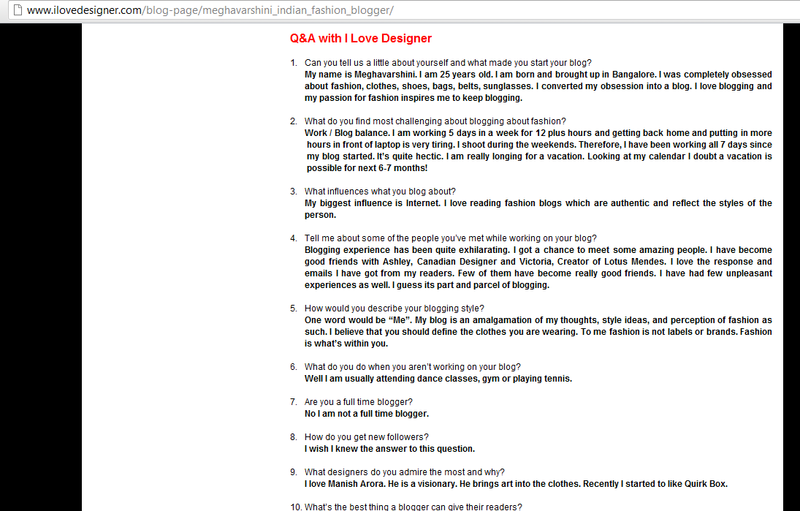 :) n congratulations on being featured at so many places! what do you say about to follow each other? la falda y los tacones son ideales! me encantan! So pretty! these colors look amazing with your skin! Perfect combination! :) I like your outfit, colorful and not dazzling. Just happened to notice the shoes...wow they are soo gud !! You are looking Gorgeous! Very beautiful outfits. I and my wife both are fashion freaks and looking for such stunning stylish wear for the vacations. Thanks for the Gorgeous post. 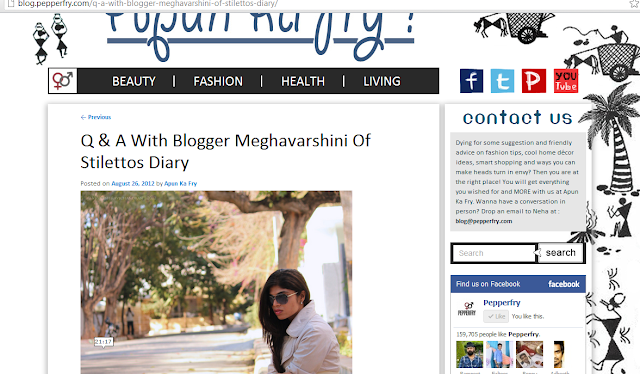 © Meghavarshini- Stilettos Diary protected by copyright. Powered by Blogger.